The National Art School Post-graduate exhibition is just around the corner (opening October 30). This year for Honours, I have been focusing on the impacts of human activity on the environment. Amongst the consequences of our activities is our species contribution to the sixth mass extinction event that is currently underway. 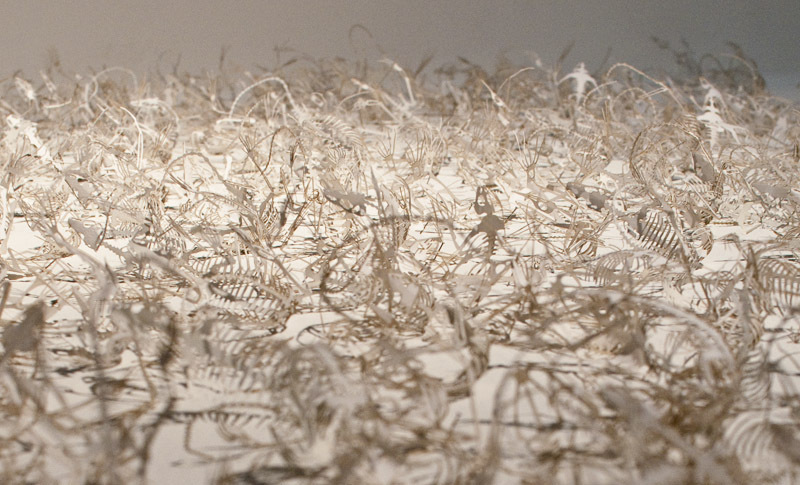 This is just a glimpse of over one thousand paper skeletons from my project dealing with the Anthropocene, a small attempt at highlighting the invisible losses that are occurring across the globe. Over the next few weeks I'll be posting some more glimpses and details about the project and the Post-grad exhibition on my Facebook page.